Tongues are wagging in France as shock revelations that the country’s Socialist President Francois Hollande ‘despises’ the poor appear to be having a real affect on domestic politics, with Front National candidate Marine le Pen shooting ahead in the presidential rankings. A new poll reported in the Telegraph has shown that were a presidential election held tomorrow, the daughter of Front National founder Jean-Marie would easily beat all other candidates in the first round of voting. Although the next such election is not scheduled until early 2017, the fact that President Hollande has had to go so far as actually state he intends to run his full term has set off speculation he may resign, or be forced out. The le Pen family are a noted French political dynasty, and although their party has been described as ‘far right’, they are rarely out of the news for their ardent Euroscepticism and traditional views. The elder le Pen, who led the Front National for nearly forty years courted controversy last month when he was quoted as decrying immigration, suggesting “Monsieur Ebola can solve the problem in three months”. A series of events over the past week have rocked President Hollande’s unpopular Presidency, already deeply troubled by the French economy, which has been described by some commentators as ‘grim’. Last week a controversial reshuffle which has created a government to push through controversial economic reforms ran into trouble when one minister resigned after just nine days in the job over his dubious tax arrangements. Besides this, the revelations of the former de facto First Lady of France, Valérie Trierweiler, in her number one best selling kiss-and-tell book have come at an inopportune time. President Hollande, who apparently has a penchant for extramarital affairs met Miss Trierweiler while married to his first wife, with whom he had four children. They embarked upon an affair which created the unusual situation of France having no official First Lady, but a presidential girlfriend instead. The pair subsequently broke up earlier this year after the revelation of another affair with a well-known French actress, at which point the spurned Miss Trierweiler set to revenge. 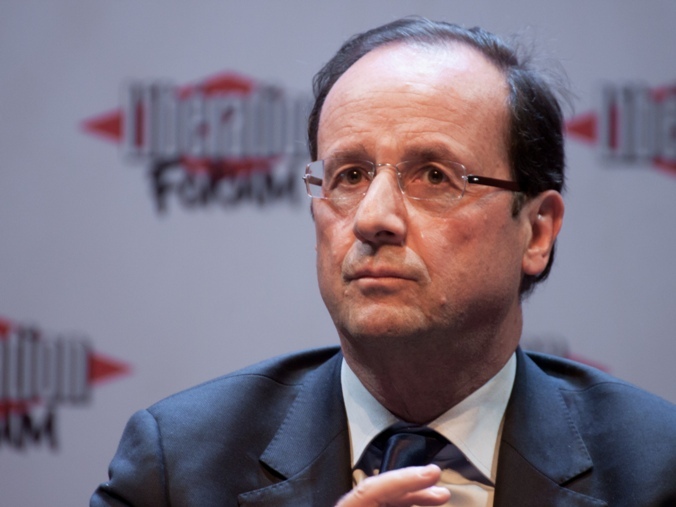 The book, which was published outside of France to circumvent their strict privacy laws which have protected the affairs of numerous former Presidents, has been roundly criticised by many parts of the French press, however one passage called out Hollande’s hypocrisy on social justice. Trierweiler claims: “He presents himself as the man who doesn’t like the rich. In reality, the president doesn’t like the poor. This man, a left-winger, calls them in private ‘the toothless ones’ and is very pleased with his little joke”. The hashtag #sansdents, meaning ‘without teeth’ in French gained some traction in Europe this week in reaction to the revelation. President Hollande has vigorously denied the claims, but the mud appears to have stuck in this case. In an attempt to shore up the foundering socialist party, Hollande’s Prime Minister has called for a parliamentary vote of confidence in two weeks. If he is unable to carry the vote, the French parliament will almost certainly be dissolved, and the present crisis will rumble on.